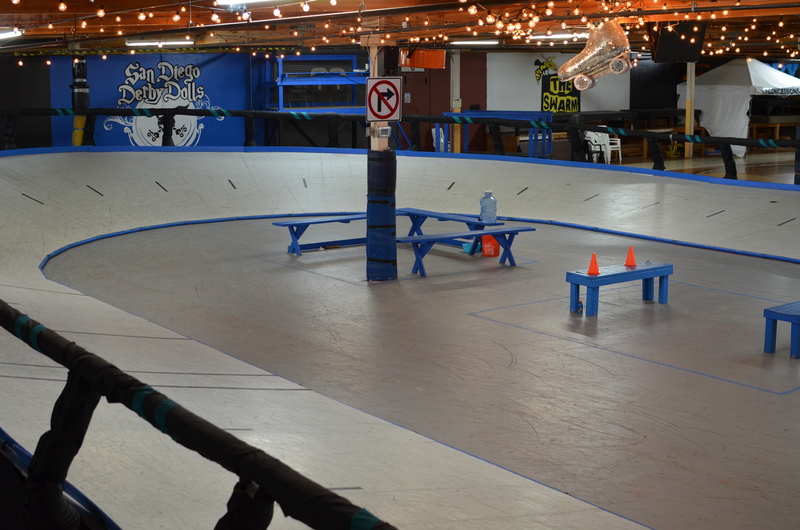 We’re super excited to give everyone a shot on the track, so we invite all levels of skaters, including B, C and rookies to participate in banked track classes and open skates. Classes will have designated skill levels in their description. Challenges and Bouts will be A-level only. All the rules of signing up for a challenge apply. Brush up on them: http://rollercon.com/events/challenges/. All players on your roster (which will be due in JULY) must have banked track insurance & be ADVANCED skaters. BT challenges and bouts will be played by RDCL Rules or WFTDA Rules (check the challenge listing). If you are interested in banked track officiating and track crew, please sign up for our Volunteer Army. We need your expertise! Please check out this Help Wanted info about how we track hours, schedule staff, compensate you and more. We hope to have banked track officiating and track crew shifts ready for self-scheduling in Volgistics by mid- to late-April. 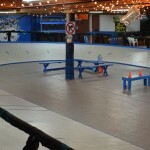 Banked track derby may not be covered by all roller derby insurance. Please check this link to see if you’re covered. The *other* tracks at RollerCon are divided into MVP-only class tracks vs competition tracks available for skating with any on-skates pass. The banked track will host all those types of events, so the EVENTS will be marked MVP-only or Skater & MVP. Classes will only be open to MVP Passholders (as always). Open skates and challenges will be open to skaters with either type of on-skates pass. Audience seating at competitive events is available for all RollerCon passholders. Watch our track be built in time lapse (before it was ours).